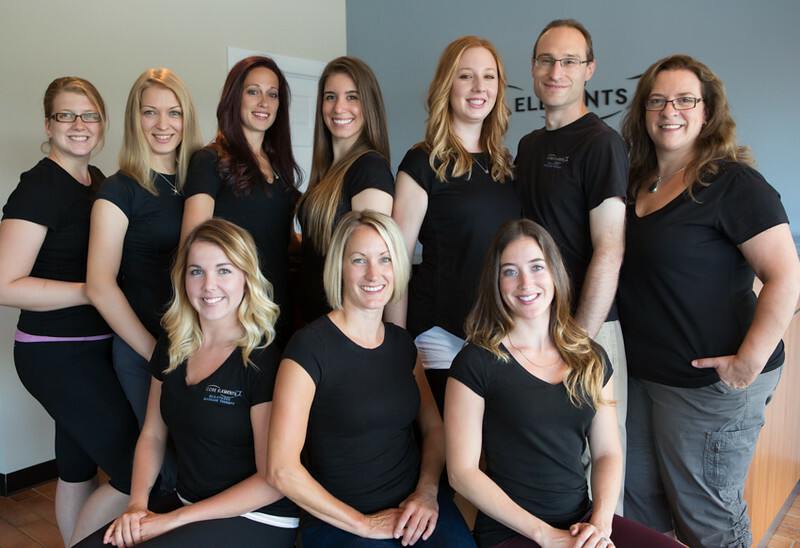 At Core Elements we understand that choosing the right Registered Massage Therapy clinic can be a daunting task. Our clinic provides exceptional attention to detail regarding service and your health. You are taken care of the minute you walk in our doors by our friendly reception staff that is on hand 7 days a week. They are there by phone or email to help you with any questions, concerns and appointment needs. All our Registered Massage Therapists (RMT’s) are full-time in the profession. Core Elements therapists are focus-driven who provide attentive and therapeutic treatment so you can be confident your care will be individualized and effective. Your RMT will take time to listen and assess your situation, condition and posture so a focused plan and treatment can be offered. We listen and address what you need. Our skilled RMT’s will further educate you of any underling issues that may actually be the prime reason of your pain to bring you to full resolution of your discomfort. All Core Elements RMT’s are registered and in good standing with the College of Massage Therapists of Ontario (CMTO). With the CMTO 2200 hr training in anatomy, physiology, pathology, kinetics, hands on treatments and much more, a massage therapist provides informative medical knowledge. In addition to this certification and registration, continuing education is paramount . This is where Core Elements RMT’s exceed with excellence! We are continually reevaluating, educating and expanding our knowledge in the Massage Therapy profession so we can provide the most informative touch to our clients. With our regular group training, we as a team set a standard for our clinic care so you receive the most consistent and excellent care with all of our therapists. As can be expected, all therapists have their own unique approach to care but you will always receive an educated, informative, understanding, empathetic and attentive touch with all therapists and treatments. Education, home care exercises and stretches are just as important as the massage therapy treatment itself. Core Elements therapists are informative and in touch with your needs so they can provide you with the proper home care, bringing you to full rehabilitation and a healthy pain-free state. We also offer a large section of therapeutic tools and aids to help with your continued care such as foam rollers, yoga tune up balls, posture aids, heating pads and much more. Massage Therapy is proven to be very beneficial to many conditions and aliments and it is our sole focus. With therapeutic and rehabilitative treatment, we look at our clients comprehensive health care needs and at times the skills of other health care professionals are advised. This is why we work closely within our community of Orleans and the Ottawa area with other like-minded health care professionals so we can confidently refer you to the best care. At Core Elements we personalize each treatment to your needs. Whether for recent injury, rehabilitation, chronic pain or stress/anxiety relief, our growing team of therapists have the skills to meet your healthcare needs. Call us today at 613-590-9339 or check us out on-line at www.orleanscoreelements.com for on-line booking and more information.